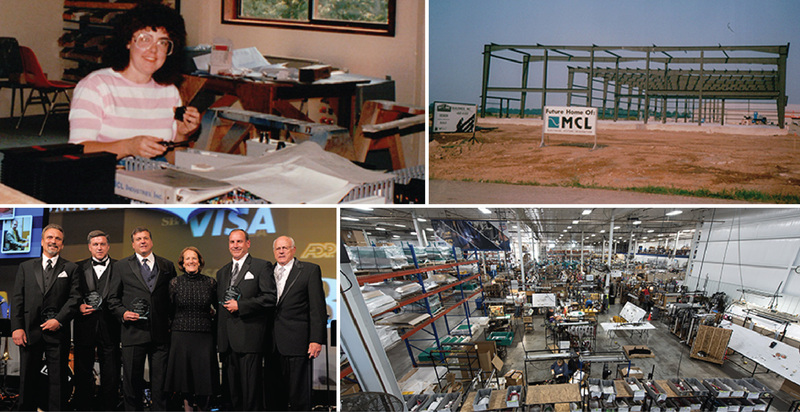 MCL Industries began serving customers in 1979, distributing power transmission products, building electrical control systems and providing engineering and design assistance as needed. Over the past 39 years, we’ve outgrown our humble beginnings in the Treankler family basement and expanded our vision as a contract engineering and manufacturing partner. That’s why MCL is celebrating its 40th year with a new look and an updated mission statement. Our new branding includes a refreshed logo, tagline and website; and our updated mission statement ensures MCL will remain a world-class partner to customers and suppliers while expanding our reach to new industries. The MCL Family takes pride in providing world-class engineering & manufacturing solutions for our customers across diverse industries. MCL has a proven track record of providing solutions for most any engineering or manufacturing need across multiple industries, and we’re eager to continue growing and providing solutions for years to come. With the new logo, tagline and website, MCL wanted to simplify the message while honoring our storied history. The new logo is a hybrid of the previous design, combining the classic sine wave with the company name. MCL’s brand colors remain the same blue and green the company has used since 2013. The blue symbolizes MCL’s loyalty and stability, while the green symbolizes growth and innovation. In order to emphasize our manufacturing capabilities, “We Manufacture Solutions” replaces “Engineered Solutions” as the tagline, bringing manufacturing to the forefront and keeping “solutions” as a nod to MCL’s engineering capabilities. Since you’re already here, we encourage you to take a few minutes to explore the new website, which has been optimized to make it easier for visitors to find the industries that MCL specializes in and the solutions we provide to our partners. Be sure to check out the assortment of valuable resources available for download where you can learn more about the work MCL does, as well as our community page which shares the driving force behind why our dedicated teams do what they do. MCL is excited to continue working with our valued customers and we look forward to building more partnerships and exploring new industries in the years to come!